Thank you for inquiring about cello lessons. I am a classically trained musician, offering private instruction to students on the San Francisco peninsula, primarily in Palo Alto, Mountain View, San Mateo, Redwood City, Atherton, and Menlo Park. 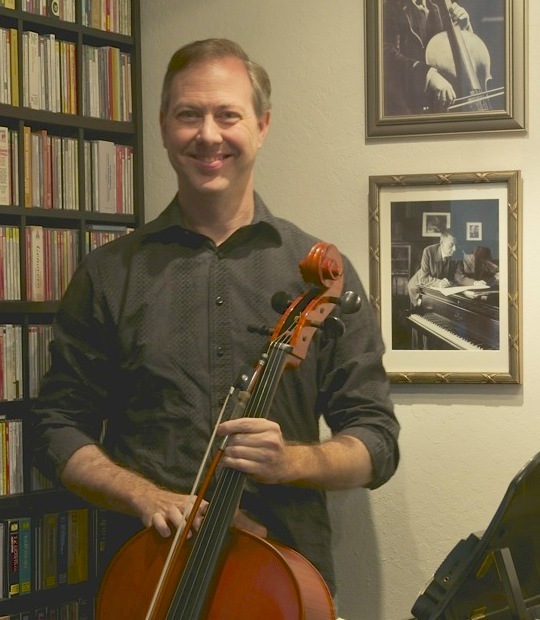 Whether you have a young child who has just begun to express interest in the cello, an advanced student who wants to deepen his or her skills, or if you’re an adult beginner yourself, I’d love to speak with you. I am an experienced, encouraging teacher, and I share my love for music with my students. I provide training to students age six through adult, beginning through professional. Beginning students who study with me discover the fun of playing the cello. Advanced students receive in-depth guidance as they improve their technique and expand their expressive range on the instrument. In addition to their private lessons, I encourage my students to take advantage of the wealth of solo and collaborative performance opportunities that the San Francisco Bay Area offers. A number of my students are members of local youth orchestras, and also broaden their musical horizons by playing chamber music and participating in various regional young artist competitions.